We previously wrote a blog post on Open Source Project Management Solutions to review large range of open source solutions. We recently came across a open source project management solution that actually encompases a great deal more features, is open source, and super easy to install on any server. The user interface for Phabricator takes the cake on being a system that truly allows all the functionality needed for proper Project management. While there are less community related plugins the existing tools that are available with apps that help you manage tasks and sprints, carry out code reviews, document everything in a wiki. Not to mention a chat system and the ability to review designs. Finally, their github repository is constantly being updated and they are definitely active on their own bug tracking system. 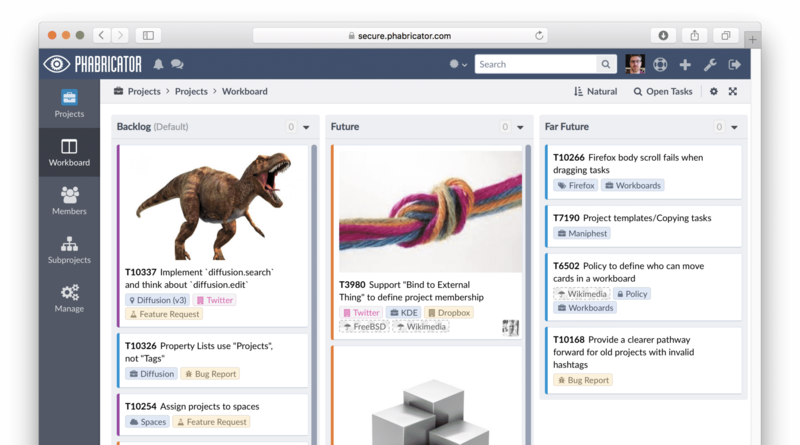 Overall, we give Phabricator a blazing 12/10 for not only taking into consideration the user and ease-of-use but also packing this open-source software with a complete suite of tools to get any project off the ground.